I was asked to bring the dessert for the family’s 4th of July barbecue this year. I thought it would be fun to fix something red, white and blue. And what could be better than using ripe red strawberries, sweet blueberries and creamy custard? So I decided to make a berry trifle. A trifle is an old English dessert. It’s traditionally made with sponge cake (usually dipped in sherry or some other wine), fruit, gelatin and whipped cream. I made this trifle without the alcohol, gelatin, or whipped cream, but it was still wiped out! 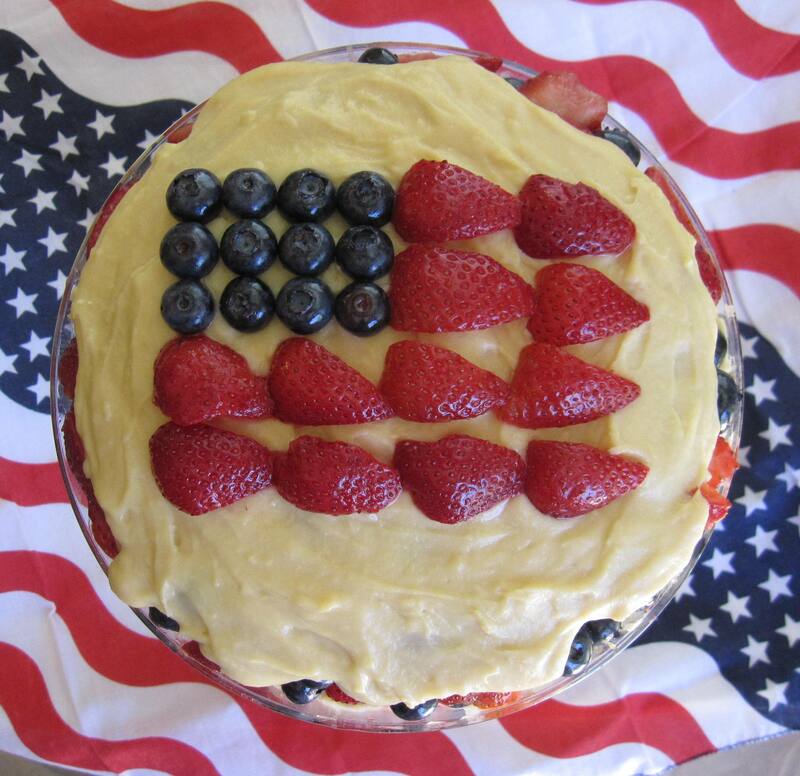 Bashful decorated the top of the trifle with a berry flag which turned out really cute. It was the perfect dessert to take to the barbecue! Bake cake according to package directions. You could use yellow cake mix if you don’t like white. Cool the cake completely, then cut it into 1-inch chunks. In a medium sauce pan, mix together the evaporated milk, sugar, flour, egg, egg yolk, and salt with a wire whisk. Cook over low heat, stirring continuously, until thick and smooth. Remove custard from heat and stir in butter until completely incorporated. Allow custard to cool, then assemble trifle by layering cake, fruit, and custard in a trifle bowl. End with custard layer on top. 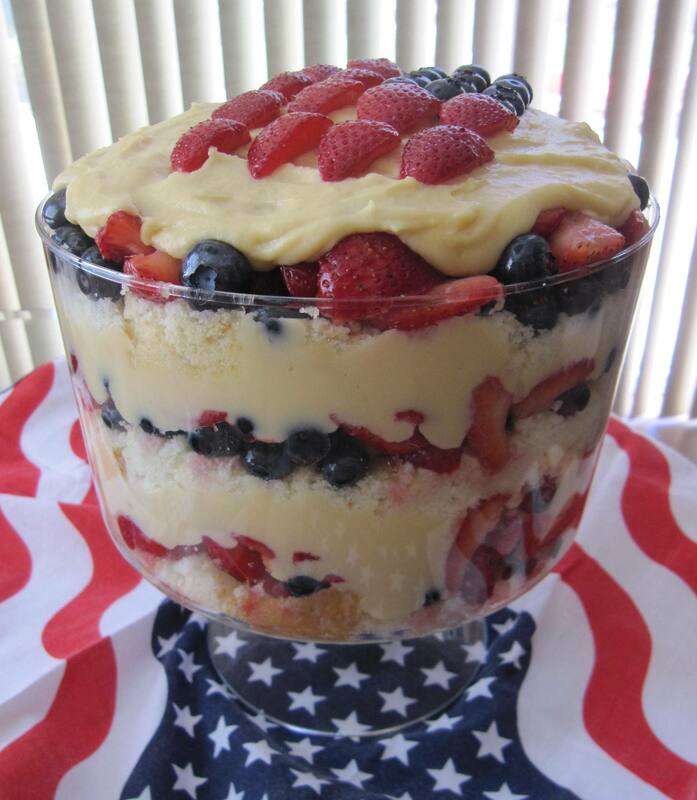 If desired, you could make a flag on top of the trifle with strawberries and blueberries as pictured.